1.1 oz / 32 ml $14.25 ORGANIC. PLANT PART – Leaves from the Tea Tree. Extremely Antiseptic / Antibacterial – A study showed that tea tree is 20 times stronger than carbolic acid, which is used to scrub down surgical rooms, yet without any drying effects on the skin. It is useful in any infection, for example: wounds / acne / cystitis. Extremely Antifungal – treats stubborn Athlete’s foot / candida / ringworm / dandruff, if caused by a fungal infection. Anti-viral – herpes / chickenpox / warts. Anti-parasite – treats head lice. 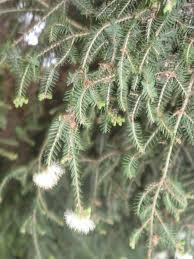 The best remedy for acne is Tea Tree Oil, due to it containing broad spectrum, antibiotic plant actives. SPECIAL – Reduces or eliminates snoring, where all other snoring remedies have failed. Apply one drop of tea tree to a q-tip, then a few drops of water over that. Insert q-tip gently, into the deepest parts of your nasal cavities, for a few seconds. – You can also use the above technique to counteract sinus infection. PRECAUTIONS – On rare occasions, may irritate very sensitive skin, although this is usually due to the use of an inferior grade of tea tree oil.